Daisy, the new iPhone recycling robot, was just revealed – being put before the public just a few days before Earth Day. 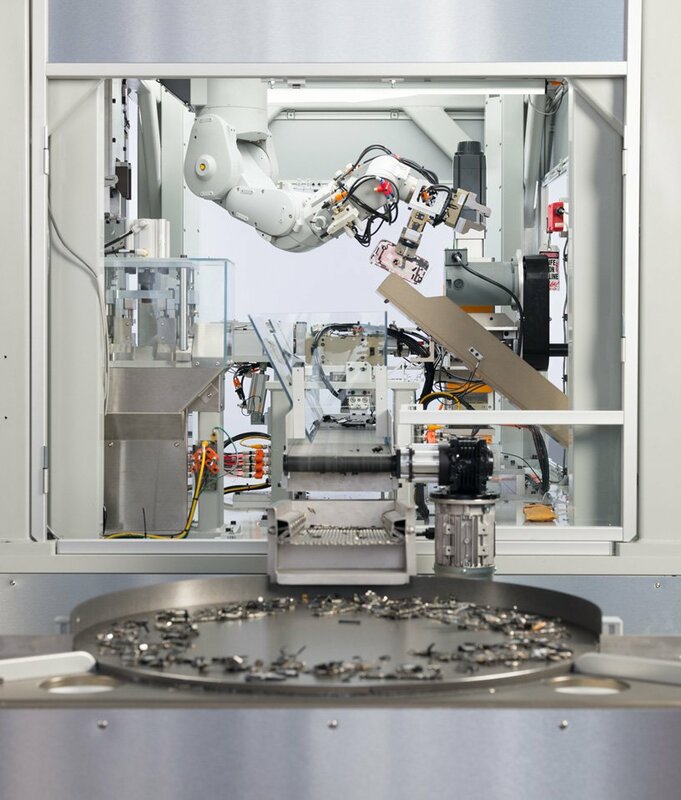 The recent news regarding Daisy the iPhone recycling robot came with a press announcement highlighting the company’s environmental accomplishments. According to the statement, the new robot is an update to Liam – a similar robot that was launched back in 2016. The free publicity regarding Daisy the iPhone recycling robot could not come at a better time, as Apple is currently still trying recover from the PR nightmare after they released that they were, indeed, slowing down older iPhones. This process was apparently carried out in order to protect aging batteries from causing crashes, but the lack of transparency regarding the issue caused a lot of people to buy new phones due to the slowing of aging devices – a frustrating occurrence that has Apple in the midst of several lawsuits due to these potentially shady business practices. Apple has since taken steps to rectify the issue – offering discounts on iPhone batteries as well as introducing a new battery management feature with the release of iOS 11.3 – but that may be too little too late for those who had taken the jump to purchase a brand new device when the situation could have been rectified by a battery replacement or a lack of throttling. With that said, the publicity regarding Daisy is probably well-warranted rather than a simple PR stunt. Electronics contribute a significant amount of waste if they’re not recycled, and the iPhone recycling robot intends to do just that – taking older devices and turning them into materials that have far less of an impact on our environment and could potentially be repurposed into other products. Daisy is much more efficient than her predecessor, ultimately capable of disassembling nine different version of iPhone and sorting them all into different components. If that wasn’t impressive enough, the speed of the iPhone recycling robot is unprecedented, with the ability to take care of 200 iPhones an hour. The speed, efficiency, and standardization of Daisy is a massive improvement over traditional methods that often destroy valuable components in the process. Also announced alongside Daisy the iPhone recycling robot was news of a new program called GiveBack. For every device that the customers turn in or trade from now until April 30th, the company will make a donation to Conservation international – an environmental nonprofit that is taking significant strides to help protect the environment from their home base in Virginia. Accompanying the launch of Daisy and the GiveBack campaign is a new Apple Watch challenge where the company is encouraging users to get out and enjoy the planet – an environment which is quickly slipping away from us as we continue to take advantage of practices that are highly damaging to the environment. Perhaps by spending more time in nature, people will be more cognizant of the impact that their actions has on the world around them. Earth Day serves as a yearly reminder to be thankful for the environment we have and to take steps to continue to preserve it. As part of Apple’s continued commitment to protecting the environment, Apple also announced around a week ago that they had achieved their goal of powering their global facilities with 100 percent renewable energy – another important announcement leading up to one of the only days that we dedicate to reflecting on the health of the planet and how we can preserve it for generations to come. While some may be cynical regarding any sort of announcement that could be spun in a positive way, Apple has been working to reduce their environmental impact long before the most recent PR fiasco. Daisy, while a significant improvement in the recycling process, is just another upgrade to the existing iPhone recycling robot that has been around for a couple of years at this point. It appears that Apple’s actions regarding the environment are sincere, and that any business benefits they may receive from reducing their impact are secondary.